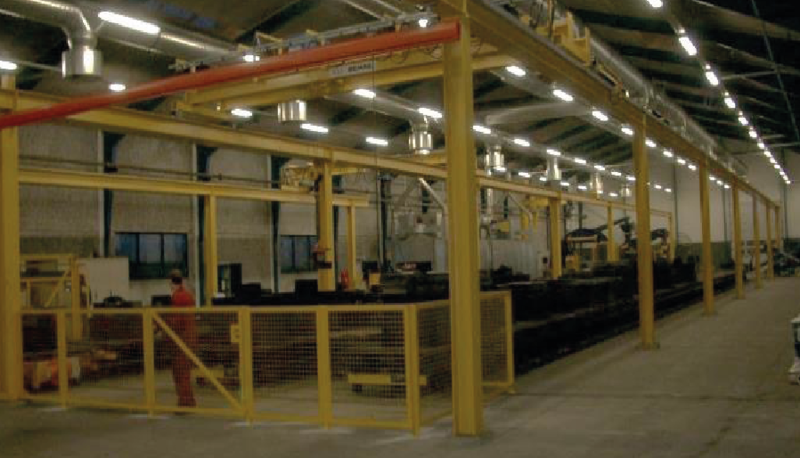 FMS CASTING LINE is an automated looping system using cast pallets that run on heavy duty quickly removable wheels, this system uses an integral hydraulic ‘pull on’ mechanism with an integral pneumatic ‘physical stop’ the system is fully automatic and fully expandable as the foundry grows. 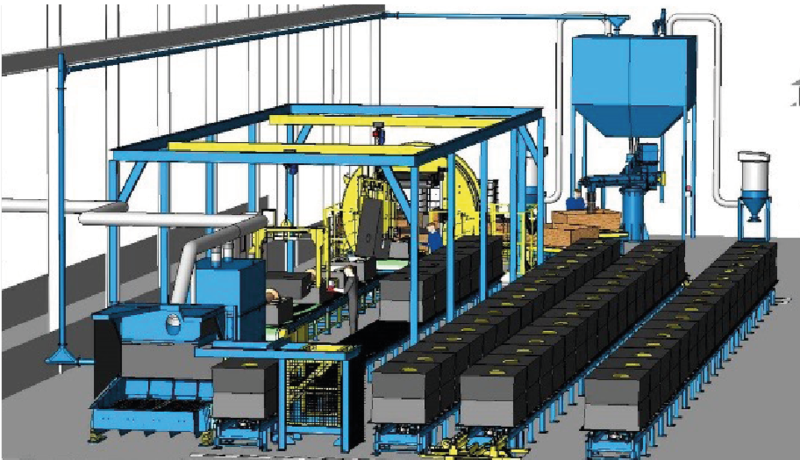 The cars when loaded by closed moulds, are transferred to a chosen pouring line. 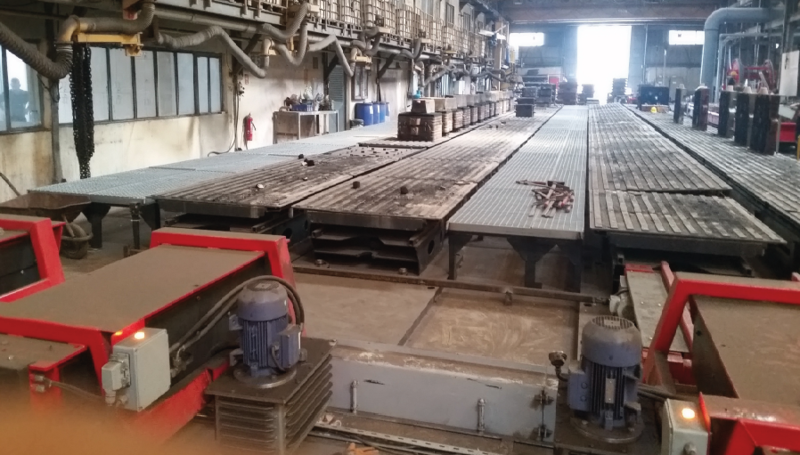 At the same time a poured and cooled casting is removed from the same pouring line and transferred to the shake out unit. The poured mould is then wiped off on to a buffer table or the shake out, leaving the pouring car empty. This car is then transferred back to a empty car return line to be re-loaded and the cycle is finished. All moulds are indexed towards a pouring area where they are poured, then indexed towards reclamation area whilst they cool down. This will eliminate any need for an overhead crane, bobcat, forklift or shovel operation as well as the corresponding operators and there will be no sand on the floor. The pouring will take place at the same spots reducing ladle travel distances. 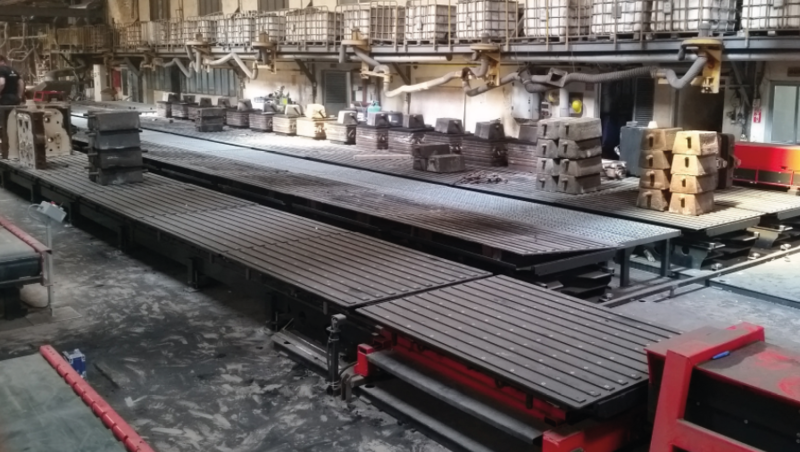 The system can be made up of numerous pouring lines in order to stack same alloys together making pouring even more easier. The pouring area is utilized at maximum levels.